At EMU Australia we have the cutest range of sheepskin shoes and boots for kids, including sneakers, slippers, pumps and of course our 100% real Australian sheepskin boots. Our shoes and boots for children are super easy to slip on and off - a must have when getting a little girl or boy dressed, and many have velcro fastenings for extra ease. Our sheepskin is water resistant so they’re ideal for messy toddlers and kids. Choose from classic tan, brown or black boots, or add a cute vibe to your children’s footwear with bubblegum pink, blue and metallics. 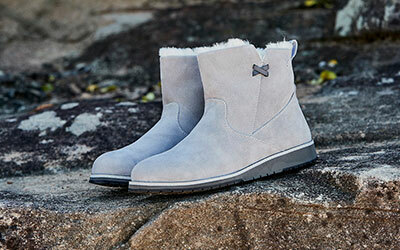 At EMU Australia we have the cutest range of warm, cosy and natural shoes and boots for children. 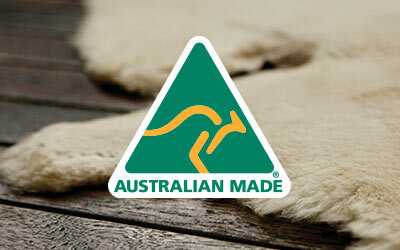 Keep the kid’s feet toasty and dry with our 100% real Australian sheepskin boots. We’ve taken all the best features of our adult boots and made them mini for the little ones. Whether you want to keep the children’s feet warm and dry in the winter and protect them from the ice and cold, or keep them cool when there’s summer drizzle, EMU Australia has the perfect solution. Our sheepskin is really breathable, meaning it’s super warm in winter but keeps feet cool in the summer. It’s also water resistant, ideal for wet weather and messy toddlers and kids. There’s so many options to choose from in our EMU Australia range for kids. Add a trendy edge with perforated suede, or cute animal faces or printed styles that the kids are sure to love. Some styles also have a bit of bling, with glitter and sparkle details, or a touch of boho with tassels. Cute soft suede moccasin styles with laces are a classic and comfortable style the kids can wear for all occasions, both indoors and outdoors. Whichever style you choose for the little one in your life, you can be sure they’re only wearing the best quality materials on their small feet. Our 100% real Australian sheepskin is super tough and durable, and our gum rubber soles are hard but flexible, meaning they can keep up with the patter of small feet running around. Our gum rubber soles also have a wave design for added traction and grip, essential when the kids are running around using all their energy, and we use double stitching for added durability. We also use Australian Merino wool in many of our linings for a touch of luxury and comfort. Many of our children’s sheepskin, leather or suede shoes and boots are also Woolmark accredited, so you can be confident the kids only have the best.